Believe it or not, I was a maths major at one point in time. I had progressed beyond Calculus and figured I had it in the bag. I attempt a Linear Algebra class in the summer of my freshman year in college and was completely blown away, like not even close blown away, like why did I buy a used book blown away, like Uncle Rico in the movie Napoleon Dynamite who was trying to go back in time blown away. My whole universe had gone up in smoke as I was the only kid in class who raised his hand with questions from the work the night before, a chapter at a time no less. Well, it was decided, I would become the furthest thing from a maths major, Cultural Anthropology. Although one might presume I was scarred from such an experience, I found great solace in my new discipline as it was accessible and did not have the rigidity that I experienced in my maths classes, something I thought I liked. Fast-forward, like God delivering the 10 commandments to Moses, Jo Boaler spoke to me - first at a STEM conference at Sac County of Ed., second when I voraciously consumed her book, and third when I attended her three day conference at Stanford. I was her groupie as the context for her work was my educational experience. Now mind you, I was also looking for answers after a perceivably tumultuous year in maths rooted in a cause a prefer not to expose. Regardless, my intentions, like all aspects of my work, was to make it better. And that we did. That said, the stage was much larger. Whether an exhaustive Trends in International Mathematics and Science Study paper (Mullis, Martin, Foy, and Hooper, 2015), a comparison of nations on the Programme for International Student Assessment (Kerr, 2016), a reflection on California’s achievement on the 2017 National Assessment of Educational Progress (NAEP), or a local hyper-focus on everything maths, the message about maths achievement is resounding – the United States lags behind both East Asian and Northern European nations, California is in the bottom five of U.S. states, and good in the school district of the study is not, nor will it ever be, good enough. Luckily, maths is going through a rebirth with the release of Jo Boaler’s Mathematic Mindsets (2016) and youcubed.org, confronting dated notions that innate abilities dictate student achievement, restoring maths as a subject requiring reasoning, critical thinking and problem solving, and celebrating mistake-making as a means to capitalize on the brain’s malleability. Boaler, however, is far from alone. Although challenging to synthesize the multitude of studies given the variation in scale, methodology, mode of instructional delivery, participant range, and factors considered and measured, trends did surface in most-impacted population by grade, academic status, and language fluency and generalized outcomes. 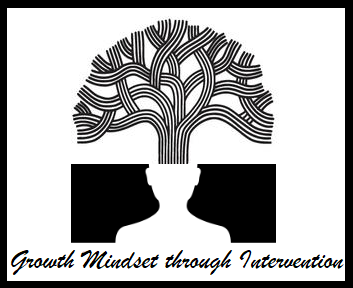 From a grade level standpoint, students in elementary settings show the greatest potential to receive and embrace growth mindset messages. In terms of academic status, students who are at-risk or who had a history of poor academic outcomes and English Language Learners, factors believed to contribute to a fixed mindset over time, show to benefit most from mindset interventions and messaging. Lastly, whether small, moderate, or significant, studies demonstrate some level of positive impact from growth mindset activities. Blogging was and is unnatural to me. And as much as I got the hang of it, I never went back to wrong the egregious errors during initial construction, due both to the constraints of time and as a testament to my growth, a proverbial scar if you will. I can remember getting the assignment to set up our blog in Weebly and immediately thinking to myself, "OK. Who do I know that can walk me through this?" Luckily, one of the elementary teachers in my district was kind enough to carve out some time after school to assist this lowly high school principal. Despite her teachings, I would remain clunky in my design and use. I am not a complete luddite, I am actually pretty proficient at navigating my way through and with technology, but I failed to find it significant (nod to Daniel Pink), partly out of a denial of my own voice, but also because I just didn't find it useful. Ultimately, what you see within my blog will not educate you to any great extent about my driving question, but it does capture who I am and my thought processes. Enjoy! Or at least you can have a good laugh. Abstract from the research paper, if interested. Click here for the paper in its entirety, FYI, I got a B- in the class, so I wouldn't go crazy with citations.